Les Savy Fav fête their new disc Roots for Ruin at Mercury Lounge tonight. 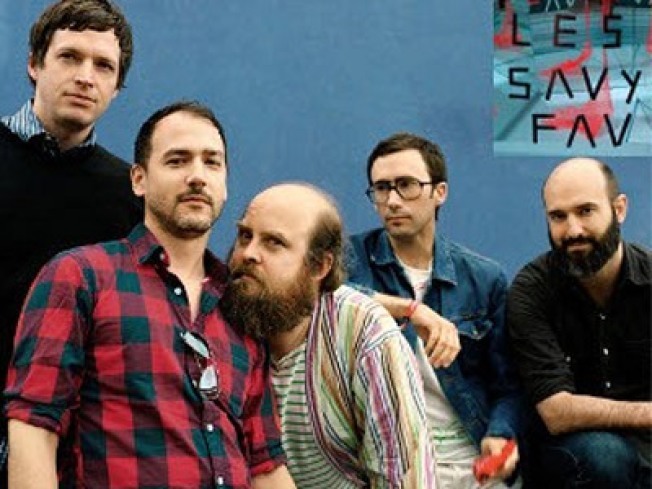 SAVOIR FAIRE: The web might very well implode next week when thousands of music bloggers get their hands on Roots for Ruin, the new disc on Frenchkiss Records from addictive art-rockers Les Savy Fav. Until then, catch them playing what’s being billed as an “intimate” release show at Mercury Lounge tonight.10PM. SHOPATHON: Like the crisping of the leaves, the Fall Preview sales at the Housing Works thrift shops signal the cusp of autumn: The do-good chainlet re-stocks its inventory with the very best stuff they’ve been collecting all year long. They kick off the first of 10 events at their Chelsea shop tonight. 5PM. HOT POCKETS: An evening of dumplings and beer—really, what’s not to love? Get a crash course in becoming a “supreme dumpling master” as Connie Sun of the hilariously-named Dump School—fresh off studying soup dumplings in Shanghai--takes you through the essentials of dumpling creation at Brooklyn Kitchen. You’ll pair these stuffed puppies with East India Pale Ale from Brooklyn Brewery. 6:30PM.